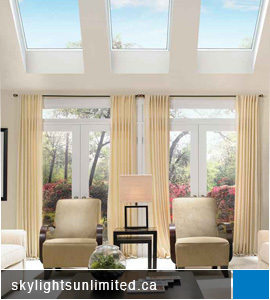 Skylights Unlimited is Toronto's most experienced skylight company specializing in skylight repair, installation & replacement serving Greater Toronto Area (GTA) since 1988. 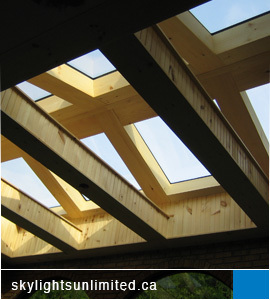 Our skylight expertise is well known by prominent magazines that have featured our products and expertise in their publications. This skylight has a lot of condensation forming on the underside of the interior pane of glass. Because it's in a bathroom, the high level of humidity in the air (from showering), causes an excessive amount of condensation to form, during cold weather. The colder the winter temperatures outside, and the higher the humidity level inside, the more condensation will form. IN Fact, the condensation was so much that it would occasionally drip down onto the drywall below and it has caused the paint to bubble. 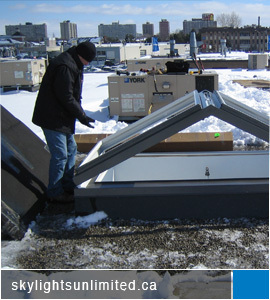 This is an example of a skylight drainage system working properly. 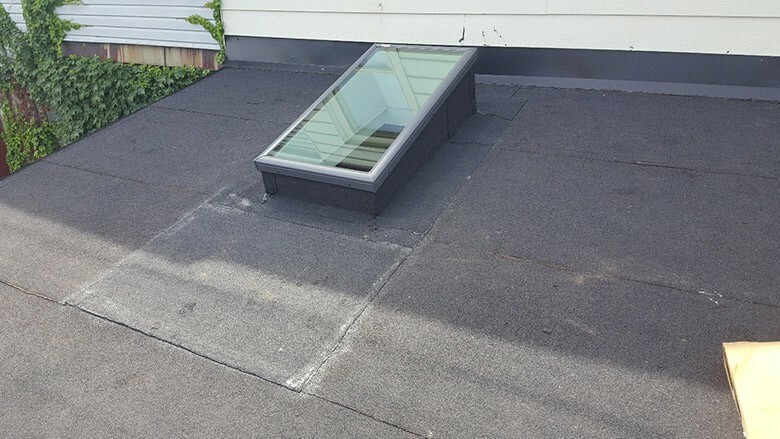 This Velux curb mounted glass skylight’s condensation drainage system is allowing any condensation that forms on the inside of the glass, to drain properly to the exterior. In cold weather, this continuous slow drainage of condensation, forms like an icicle. Theres so much condensation on the inside of this skylight that you can clearly see if from outside. Eventually , all this condensation drips down into the gutters, drains down to the low end of the skylight, and is discharged to the outside. This is something that we see quite often. The homeowner got his roofer to upgrade his vents at the same time as he was re-roofing the house. The roofer installed the large 14" turbine vent. Unfortunately, he put it on top of the old small hole (for the old passive vent that was there before), rather than cutting the hole to the size of the new vent. As you can imagine even though the new vent is much larger, it still doesn’tt draw much air as it has to draw through a small hole. When installing new, more efficient venting systems, the hole in the plywood has to be cut to match the size of the new vent, for the new vent to be effective. 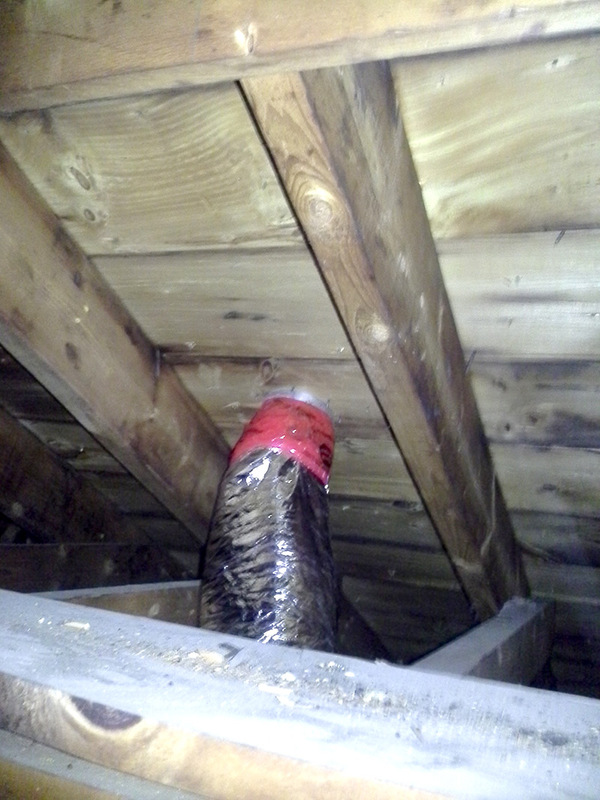 This is an example of the right kind of duct work to use for bathroom exhaust fan systems. The duct work is an insulated pipe with an aluminum exterior skin. This allows for the hot air from the bathroom to go thru the pipe and to be exhausted to the exterior without putting any heat or humidity in the attic space…….that would cause a lot of mold. Notice that the piping is well sealed to the fan with tuck tape as well as sealed to the direct connect roof trap. It’s also important to use the right roof exhaust trap (vent) on the exterior. Most common exhaust traps have a very low profile. 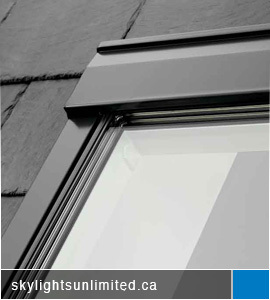 We prefer to use the Ventilation Maximum trap that rises 8 inches above the roof. This keeps it out of the snow in the winter. Also, the Ventilation Maximum vents also has an anti-reverse damper that allows the hot moist air to be exhausted to the outside, without allowing cold winter winds to blow inside.  So, a properly designed bathroom exhaust system gets rid of all the host moist air in the house directly to the outside, without allowing any hot, moist air into the attic. 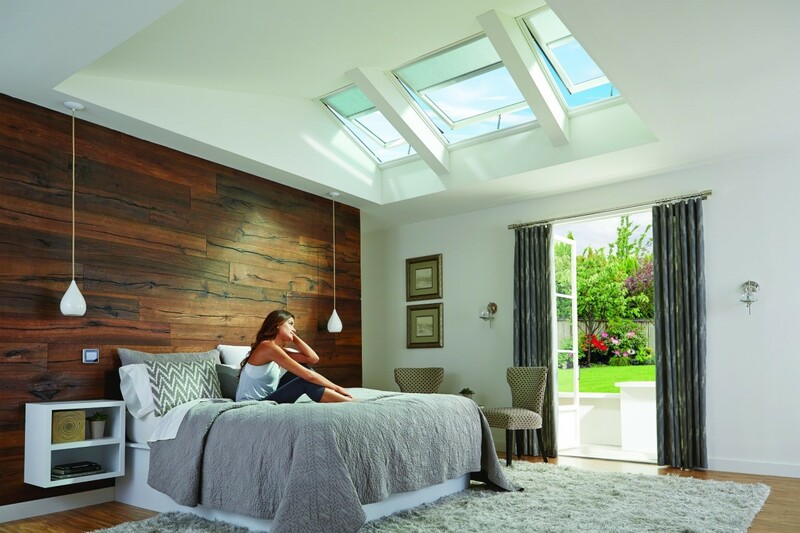 There are several reasons a skylight might begin to leak. 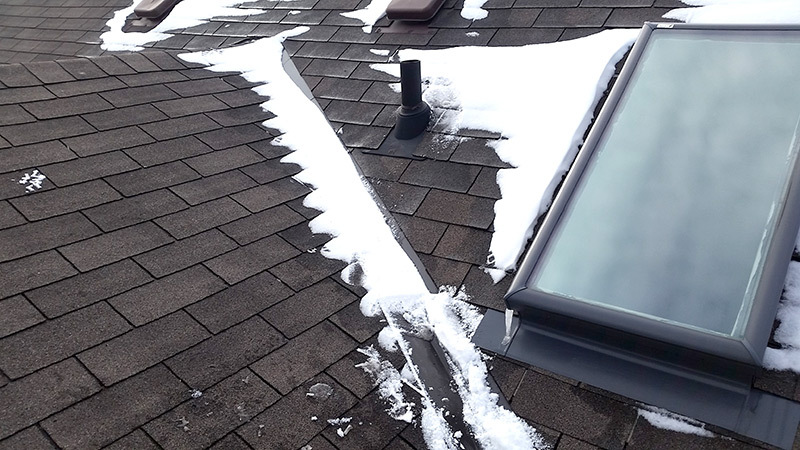 Most often, the cause of a leak is sealant that has failed or condensation build-up that occurs around the skylight, which often happens when there's an excess of melting snow or ice on the roof. 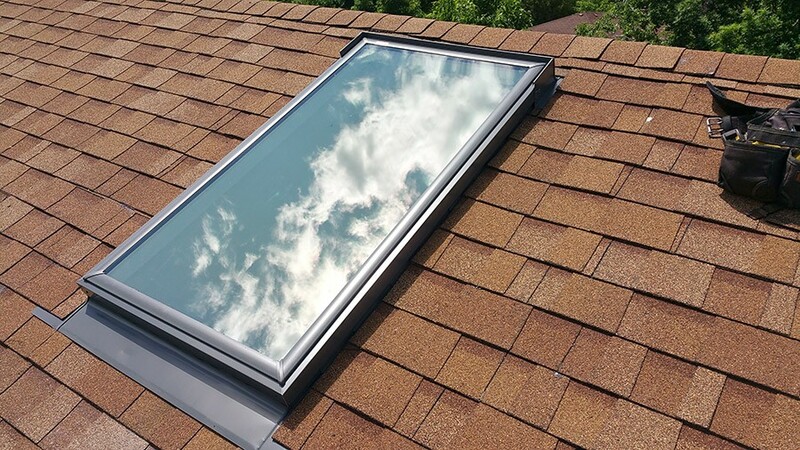 If you have a skylight that begins to leak after a rain or wind storm, shingles around the structure may be clogged with dirt, dead leaves and other debris that prevent rain or melting snow from running off the roof as they should. 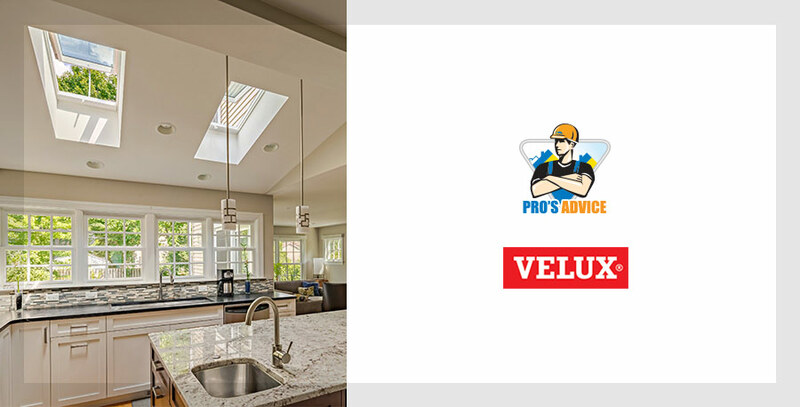 Leaking can also occur when there are problems in other areas of the roof, and the leak eventually makes its way to the skylight. Our experienced repair personnel will inspect your unit and your roof carefully to determine the source of the leak and ensure that no unnecessary repairs are made. 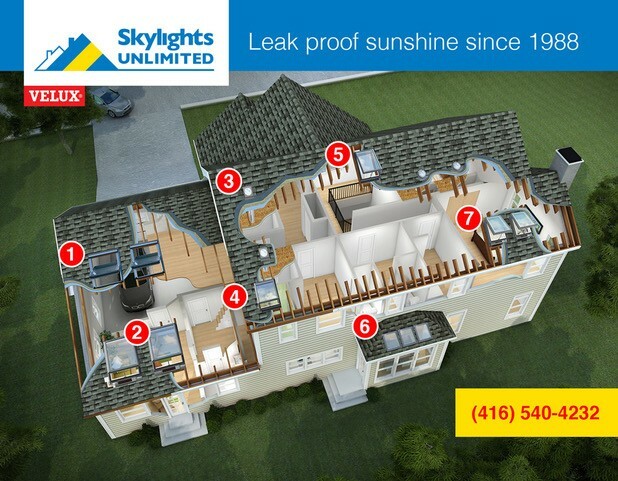 Contrary to what you may think, skylight leak repair isn't always as costly and our crew will ensure that any repairs will be performed in way that least interfere with your home and its roof. 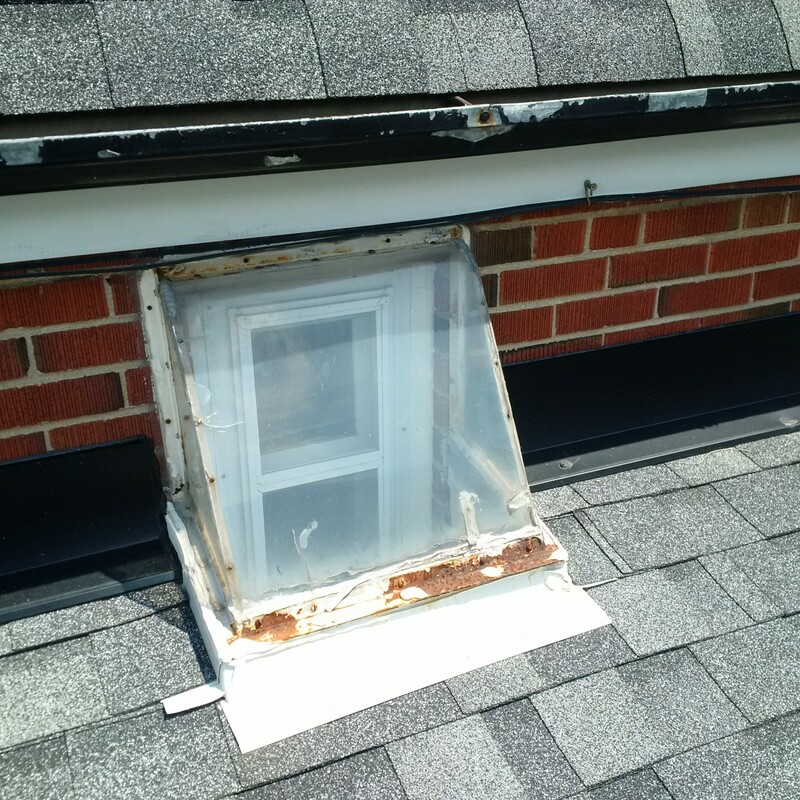 If you have an older skylight, leaking might be an indication that it's time to replace it. Another sign that you will need to replace your unit is if condensation and other moisture has leaked into the interior of the glass and stained it, causing some areas to have a milky appearance.